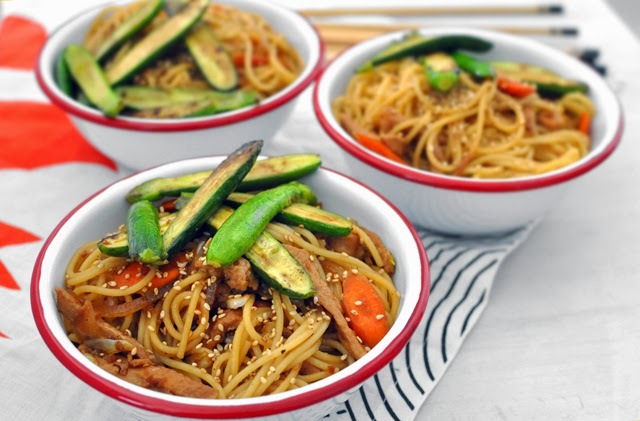 Ideally, I would make this dish with Soba noodles, but life is rarely ideal so I made it with spaghetti. I wont even apologize :D with this delicious homemade Teriyaki sauce you could boil shoe laces and it would taste good! 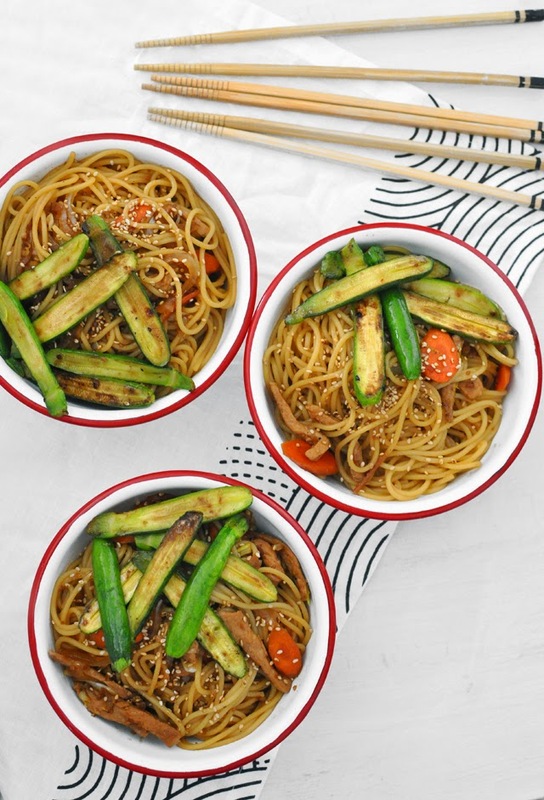 Me and my mom are well known for our love for pasta, and this dish totally hit the spot, you can change up the veggies too, string beans or snap peas would be lovely but I just have a thing for Trader Joe's baby zucchini. Best part? You can put it together in lest than 20 minutes and for a fraction of a cost you would pay eating a similar dish in a restaurant! Bring water to a boil and cook spaghetti al dente. While the spaghetti are cooking slice the meat into thin strips and cook them on high heat until nicely browned then set aside. Cut the baby zucchini lengthwise and brown them on the cut side for about a minute, set aside. Slice the onions and carrots into circles or strips and saute for a few minutes. Add back the meat and then pour teriyaki sauce over everything. Add the noodles and mix well. 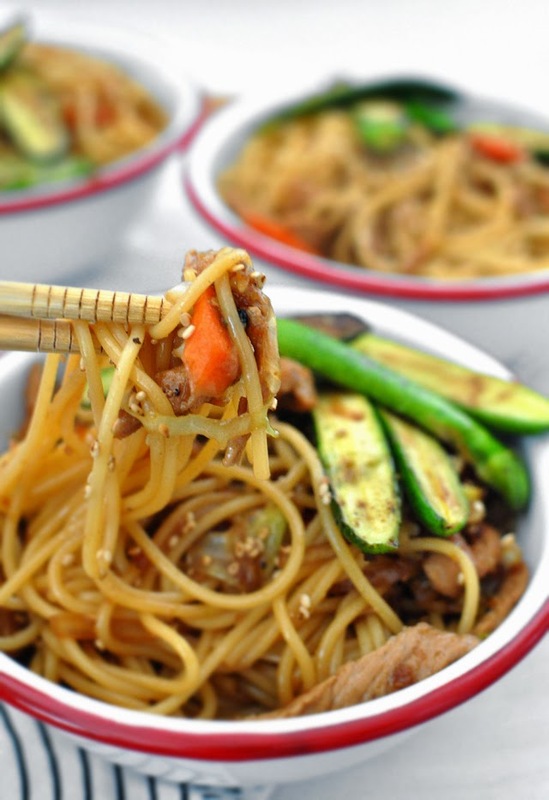 Serve the noodles in bowls and top each with some zucchini and sesame seeds. Put all six of the first ingredients into a pot and cook until it starts reducing and thickening, mix cornstarch with a little water and turn it into a paste and add to the sauce. Cook for another few minutes then add to your dish. Leftover sauce keeps for about ten days kept in a jar and refrigerated.